When you are on a spiritual path, you need a clear and aware consciousness. So, what does that have to do with calcite crystals in the pineal gland? First, microwaves are not good for the human body, or any other living being on this planet. This has been known in military studies from the time they started developing microwave emitters and receivers. People are now hooked on their cell phones (which are called GSM in Europe), not knowing or not wanting to know that the pulsed microwaves they emit are damaging to the brain/blood barrier of the brain and the brain itself, eventually leading to brain tumors as medical research has shown. The other day I found an interesting research paper titled New Crystal in the Pineal Gland: Characterization and Potential Role in Electromechano-Transduction from a collaboration between two institutes in France and Israel. It states that new form of biomineralization has been studied in the human pineal gland. It consists of small crystals that are less than 20 μm in length. A micrometer, or micron has a length of 1×10−6 of a meter. These are very small crystals that can only be seen with a microscope. The paper shows some nice pictures of these crystals at the end of the article. The crystals are multilayered, as sheets of paper one behind the other. If you are interested in alternative health, or in expansion of consciousness, you are probably aware of calcification of the pineal gland. You can find many websites with methods to decalcify your pineal gland. I have no idea if any of these methods work. The pineal gland by itself is very important. It is the master endocrine gland in the center of your brain. It produces melatonin, a serotonin derived hormone which modulates sleep patterns in both circadian and seasonal cycles. It also produces DMT, a powerful hallucinogen. In esoteric terms, the pineal gland is associated with the crown chakra, which is our link with the Divine. “We report here the presence of a new form of mineral deposits in the pineal gland. The calcite microcrystals would have piezoelectric properties with excitability in the frequency range of mobile communications. Their interaction with GSM waves could constitute a new mechanism of electromecano-transduction on the pinealocyte membrane, influencing by the fact the melatonin production. The RF-EMF electrical component interaction with the crystals could induce a morphological modification of the crystals, a vibration depending on the EMF frequency. This morphological change, even tiny, could involve a modification of their cellular environment, by a localized modification of the cellular membrane of related cells. The membrane changes could alter the adrenergic suggested and/or calcium channel function. A similar mechanism of magneto-transduction was revealed by Kirschvink in connection with magnetite crystals of the brain and their interaction with the magnetic component of RF-EMF . Pinealocyte can “communicate” through their gap junction [16, 17]. The deformation caused by the crystal vibrations could thus by simple activation of one or two pinealocytes, activate a whole area of pineal cells and thereby act on the pineal physiology. Do you understand what this implies? Every time you hold your cellphone to your head, the microwaves of the cellphone is vibrating these calcite crystals which in turn produce electrical signals which impact and change/disrupt the cells of the pineal gland and its hormone melatonin. No wonder that the majority of people are now staggering along the sidewalks with a cellphone glued to their ears unaware of what is around them. 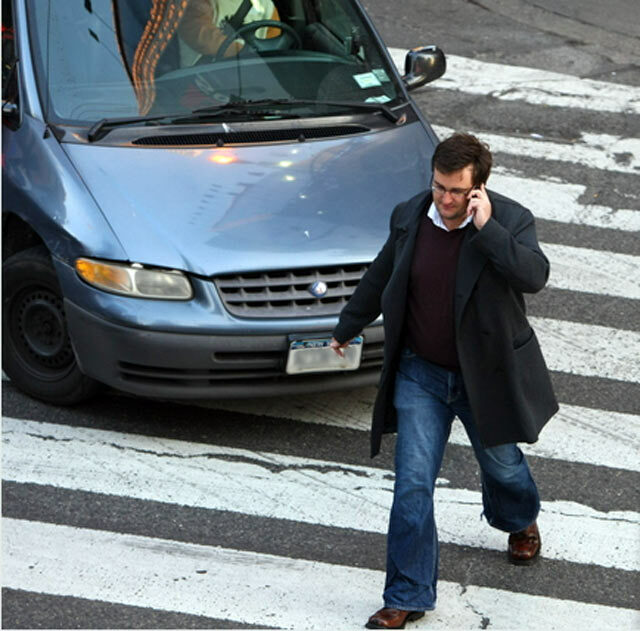 Does it surprise you now why people, talking on their cellphone, walk straight in front of a car? This entry was posted in Awareness, Consciousness, healing and tagged Awareness, calcification, calcite, cell, cellphones, consciousness, crystals, melatonin, microwaves, phones, pineal gland. Bookmark the permalink.